Hi and welcome! 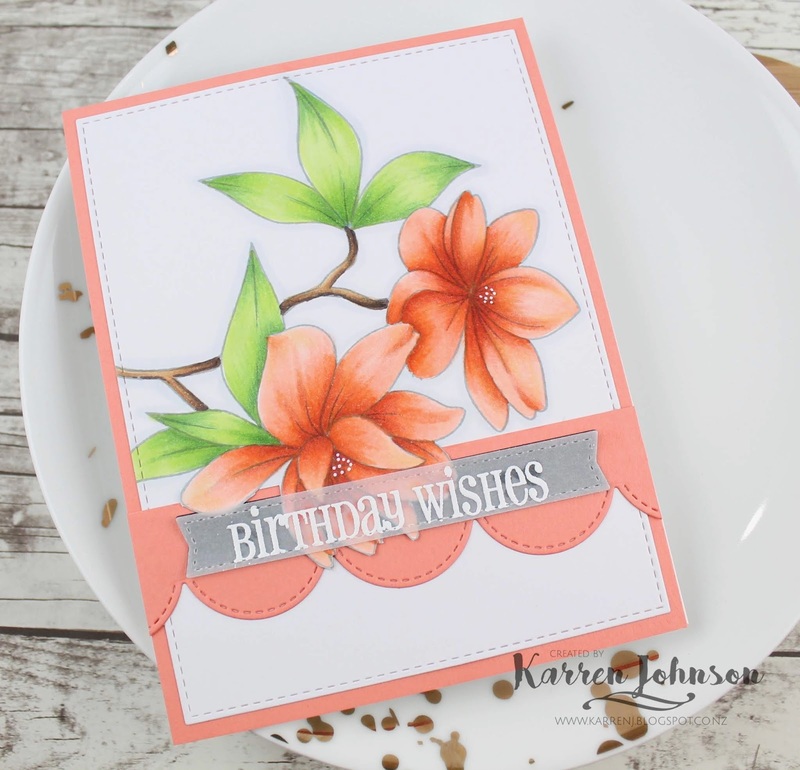 I'm here with a card and video for the latest sketch at Freshly Made Sketches and this week our hostess is Kim Singdahlsen. 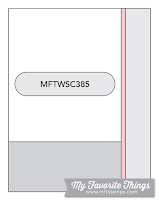 I decided to treat the three vertical elements as negative die-cuts and from there my card came together reasonably easily. In the video, I show how I spaced the die-cuts to ensure they were all even - that was the hardest part. The rest of the card came together quickly. 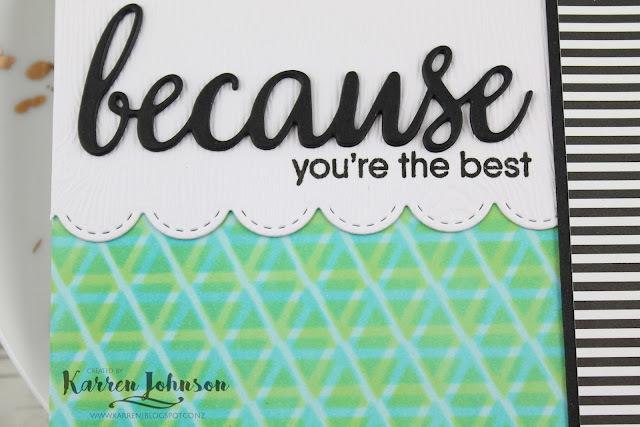 I ink-blended three strips onto the card base and used foam tape to pop the die-cut panel up over the sponged strips. A white-embossed sentiment was added and I finished the card with quite a few (for me, anyway!) crystals. Thanks for visiting! The design team have gone all out with this sketch, so head on over and check out their fabulous cards. You can watch the making of this card below or over on YouTube. Hi and welcome! It's time for another challenge from the team at Freshly Made Sketches and this week our hostess is the inimitable Linda Callahan. And has she got a great sketch for us! 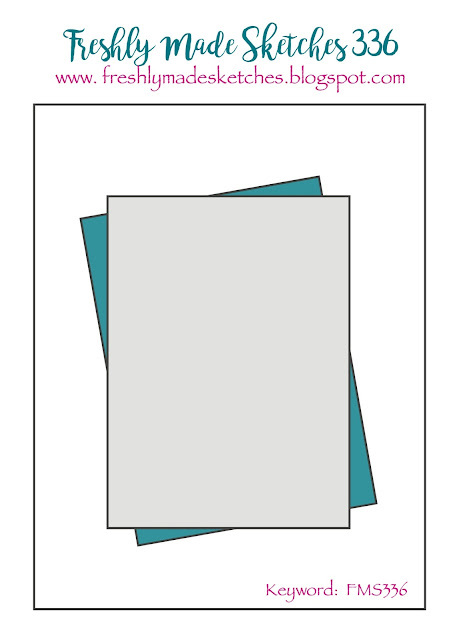 When I first saw Linda's sketch, it immediately put me in mind of a fancy-fold card, but as I've said before, I'm too lazy for that sort of nonsense 😆so I decided to keep it pretty simple and use vellum for the top layer. The photos do not do this card justice - so just pretend, okay? 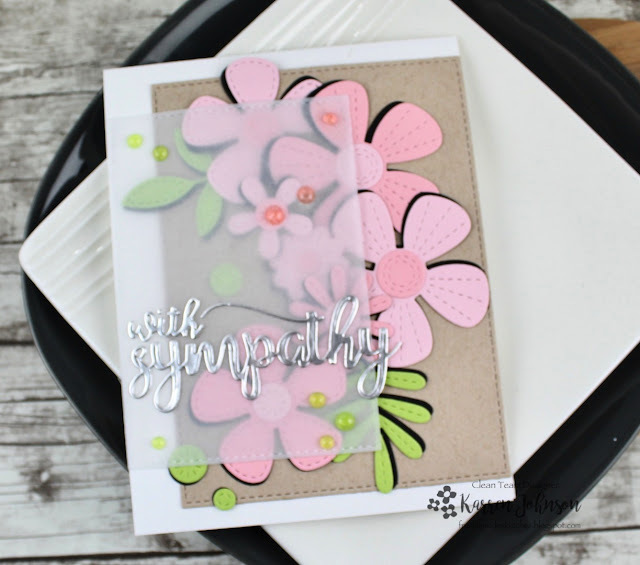 I used the new Stitched Blooms card kit from MFT and die-cut some of the images in both Bubblegum and Pink Lemonade cardstocks, as well as cutting the leaves from Sour Apple. I wanted the look of shadows, so cut black versions of everything I'd previously cut from colored cardstock. I layered the black by slightly offsetting it and then created the bouquet arrangement. I wanted a curved design and once I was happy with how it was laid out, I used some Press 'n' Seal to hold it all in place while I worked on the rest of the card. I die-cut a Desert Storm panel and a vellum panel from a stitched rectangle die and also the sympathy words from silver foil cardstock. So I could add some glue to various parts of the vellum, I first added some Nuvo Jewel Drops to the vellum and set it aside to dry. Once it was dry, I added glue behind the Nuvo drops and also the word die cuts and that held the vellum down nicely. Thanks so much for visiting. 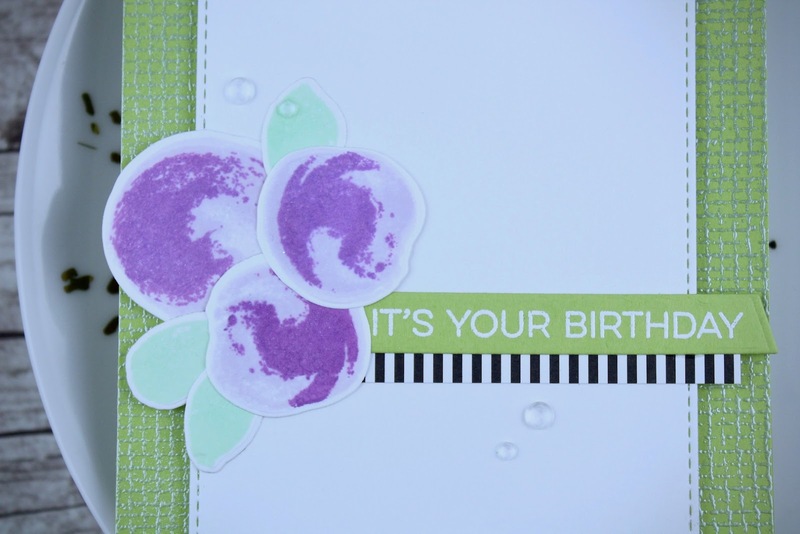 The DT have some gorgeous cards using Linda's sketch so I hope you'll check them out. 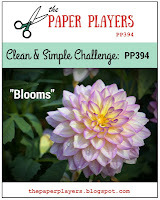 I'm playing along with The Flower Challenge who are looking for acetate/vellum on floral cards this month. Hi! I'm here with a card for a couple of challenges! I haven't had much time recently to make non-DT cards, so it was nice to just spend a bit of time in the old craft room this afternoon creating just for the pleasure of it. I made this card using both the sketch and colors from MFT Stamps Challenges. 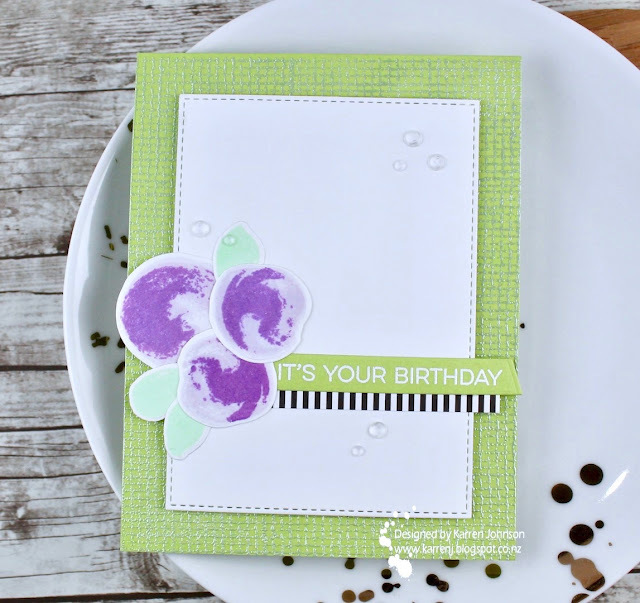 Onto a Sour Apple card base I embossed the Burlap BG stamp with Silver Pearl embossing powder. This gave it a lovely sheen with a touch of silver in different lights. I die-cut a white panel with a stitched die and adhered that to the card base with foam tape. 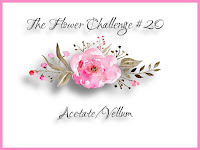 On top of that, I added some Painted Flowers stamped in a soft purple shade and a deep purple shade - as close to the challenge colors as I could find. The leaves were stamped in a mint color. 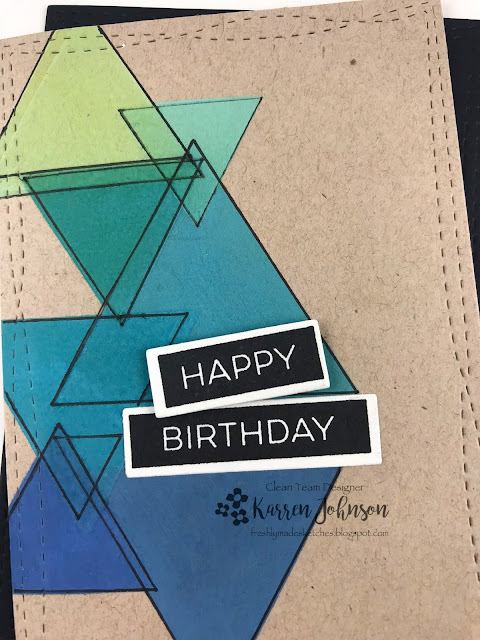 I arranged them to the left of the card and added a white-embossed sentiment and a black and white patterned paper strip. To finish the card (and in keeping with the sketch), I added sdome Sparkling Crystals across the card front. Finally, I colored the flowers and leaves with clear sparkle pen. Thanks for visiting. Apologies for the poor quality of the photos. I just bought a MacBook Pro and am having to find new ways of editing photos. The photos look fine in the folder but as soon as I bring them into Blogger, they look like they've been taken under fluorescent lighting! So frustrating! 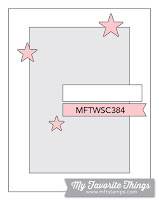 If anyone knows of a really good app that will edit and resize photos, as well as add a watermark, please let me know. Hi and welcome! 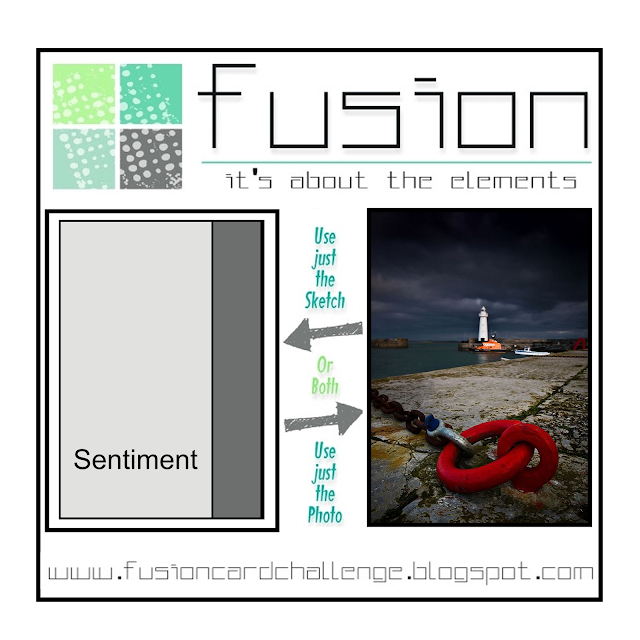 It's time for another challenge at Fusion and this week we've chosen a simple sketch and a dark and moody photo. When I first saw the photo, I saw lots of inpsiration - the deep colors, the nautical theme, the rings, so many things. I decided to create a fusion, focusing on the colors from the photo as well as the masculine look. 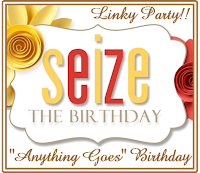 I created this card for my Dad's 85th birthday, which was a few weeks ago. 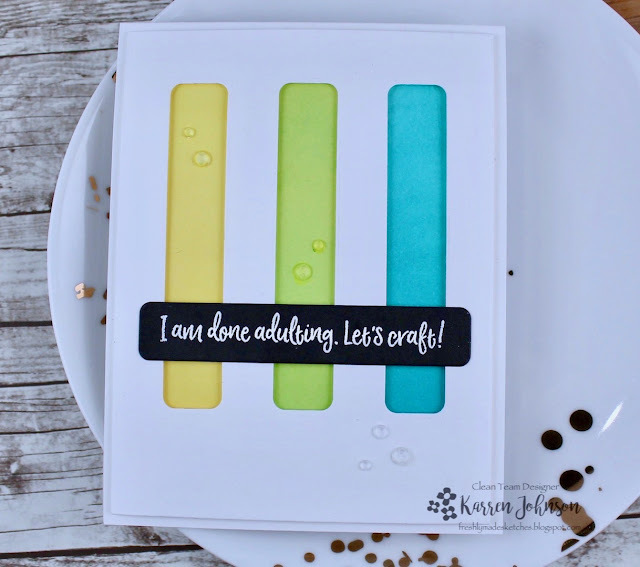 And I have a video showing how I made this card which you can see below or over on YouTube. In keeping with the dark and moody look of the photo, I went with a deep red alcohol inked panel and a gray stenciled panel - separating the two with a thin strip of black cardstock. 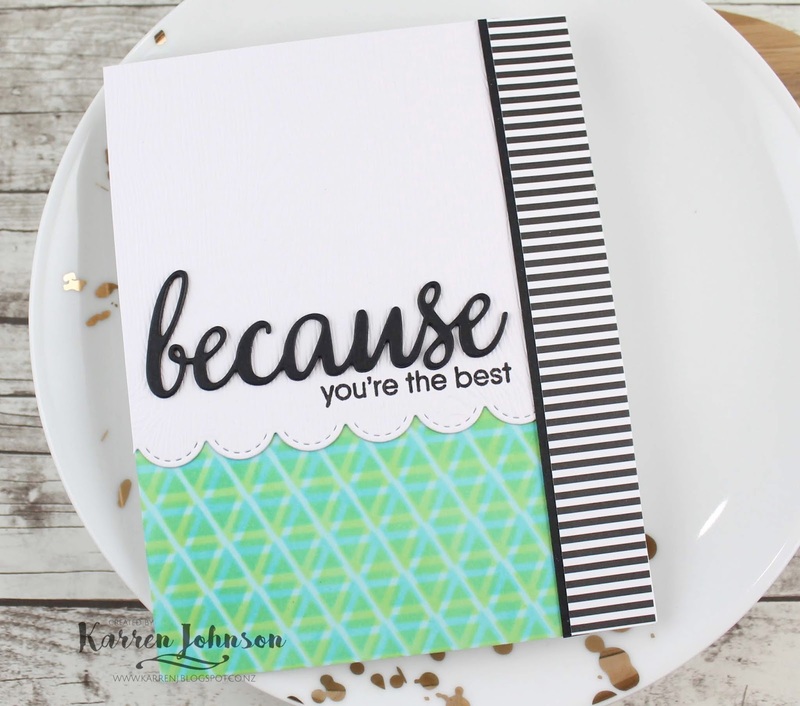 The sentiment was die-cut from black cardstock and adhered to the card using the negative die-cut for placement. 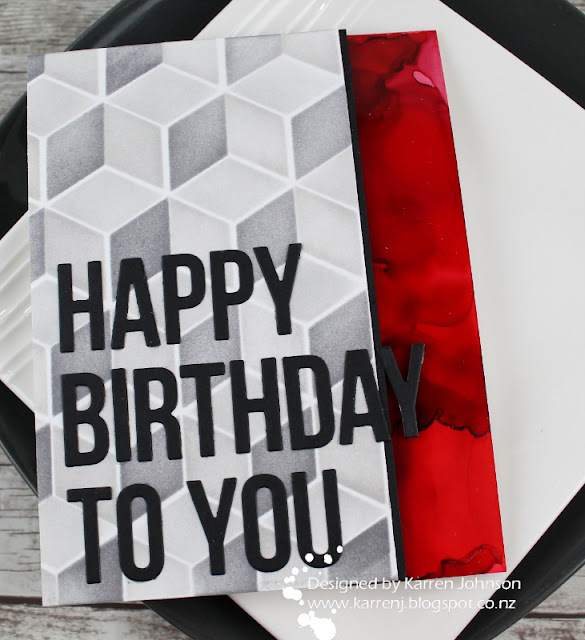 As you will see in the video, I had some glue issues in the making of this card, one of which was getting thin enough strips of foam tape for the "y" in birthday 😃What a mission! Thanks for visiting. 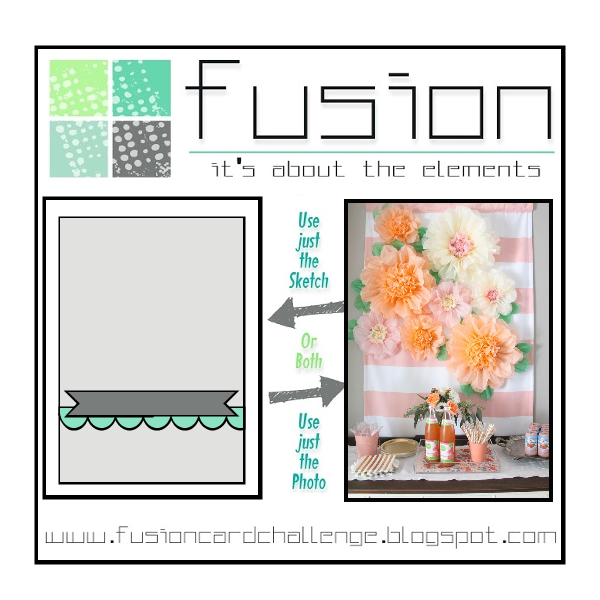 Head on over and check out what the rest of the design team have done with this challenge - you'll be glad you did! 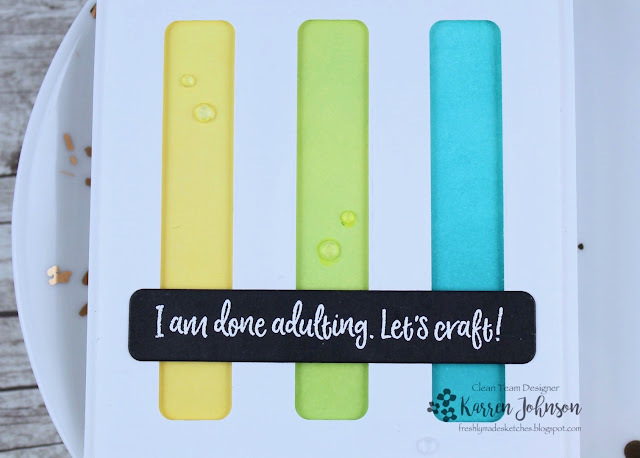 I'm linking this card up to the For the Boys challenge at Simon Says Stamp. Hi and welcome! It's time for another fun sketch from the team at Freshly Made Sketches and this week our hostess is the talented Jen Mitchell. These last couple of challenges have tested me - ovals last week and angled panels this week - whatever next 😄I have to say, though, that I am getting used to angled panels and they don't freak me out like they used to. For my card, I decided to go with a masculine birthday card for my son who will be 16 in a month or so. 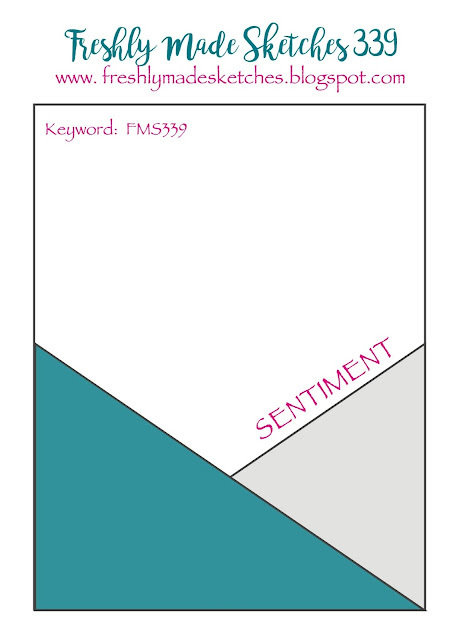 He is studying design and visual communications at school so I thought the graphic style of this card would suit him. 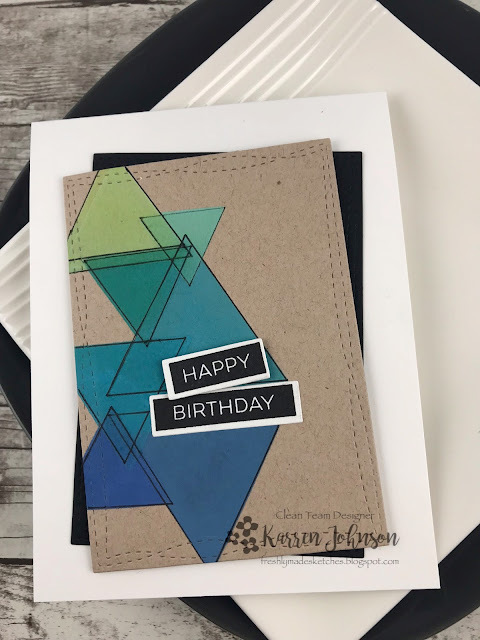 I used a triangle stencil and Distress Oxide inks to create these triangles. When I was finished, I wasn't happy with how the triangles weren't distinguishable from each other, so I put the stencil back on and traced around each triangle with a black pen. 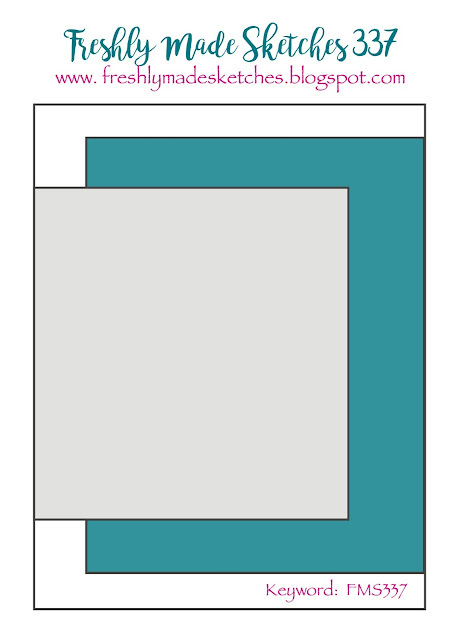 The panel was die-cut with a wonky stitched rectangle die, as was the black panel underneath. Both panels were layered onto a white card base with foam tape. 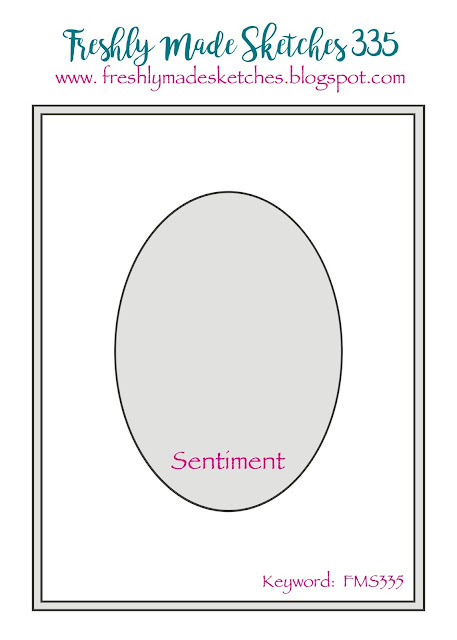 To keep with the graphic look, I stamped and die-cut some label sentiment stamps and added them at an angle. Thanks so much for visiting. Please head on over and check out what the rest of the DT have done with Jen's sketch - they are always amazing! 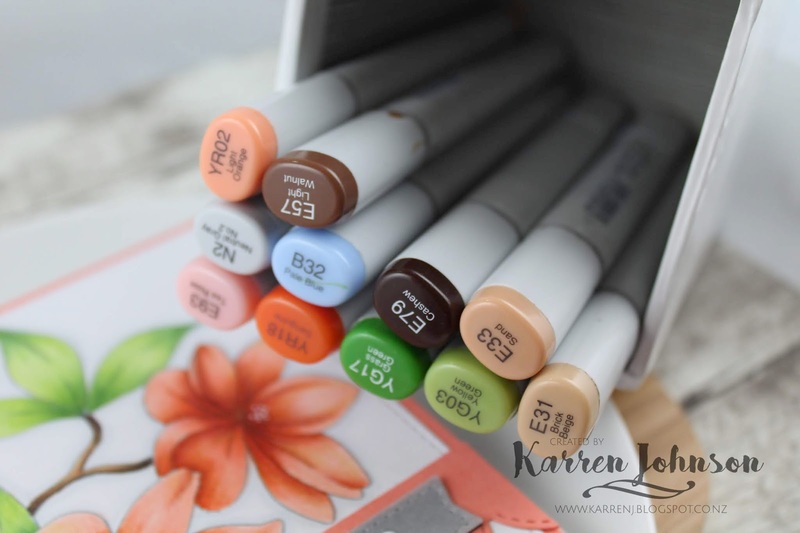 Just popping in to say I collated all the comments from both this blog post and the YouTube video and used random.org to pick a winner of my giveaway. I've reached out to Julie-Anne via YouTube requesting she contact me to discuss the logistics. If I don't hear back from Julie-Anne in a week, I'll draw another name. 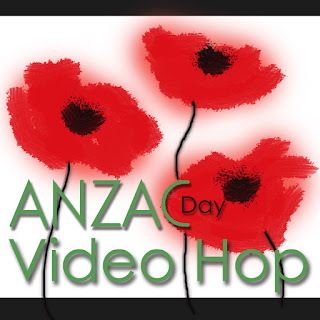 Thanks to everyone who visited my blog post, watched my video, liked, commented and subscribed. I'm back with a card using our latest sketch at Freshly Made Sketches and this week our hostess is the wonderful Jennifer Timko. Her sketch freaked me out a bit, because me and ovals are not great mates! I dry embossed a stitched oval onto a white card base (sketch met!) 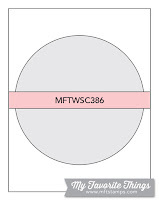 Then I colored and arranged some flowers around one side of the oval. 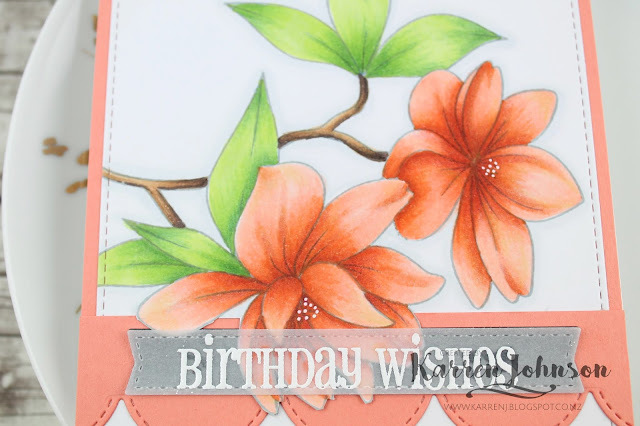 I was totally inspired by the colors in Debbie Olson's card here. 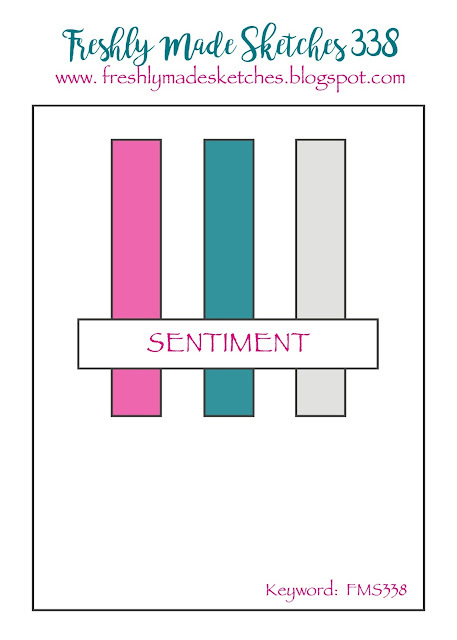 I finished the card with a simple sentiment and a few Jewel Drops. Thanks so much for visiting. The DT have put Jennifer's oval to great use so please check them out. 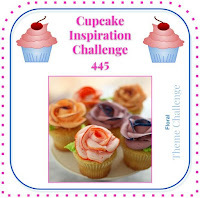 I'm linking this up to Cupcake Inspirations Challenge who have a floral theme.